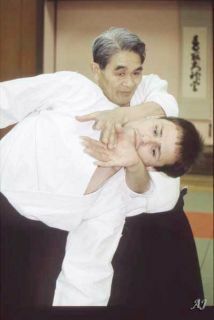 Let us honor his memory by continuing with his Aikido Work. 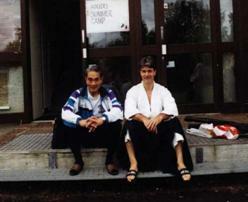 May The Nishio Aikido Family always stick together. 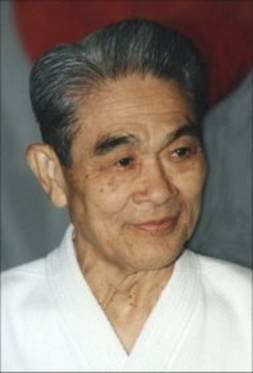 Shoji Nishio Sensei 5 december 1927 - 15 mars 2005. Thank you Sensei for that you cared about us. We will never forget you. 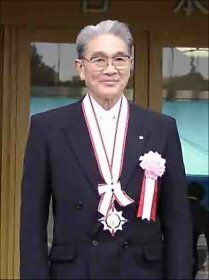 Shoji Nishio-Sensei was only 77 years old, he died on 15 March 2005. 9:50. But he was old enough to be loved by an entire world. 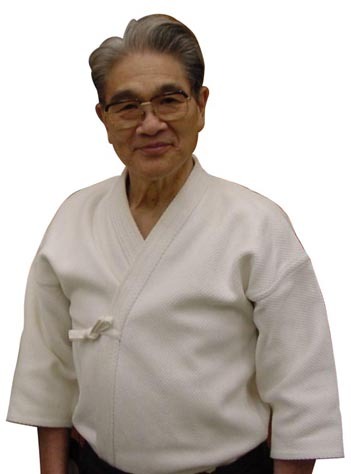 Nishio-Sensei was a sensei with the three requirements that a sensei should have, technical skills, the ability to take on a student's confusion and lead him back on track and personality. Therefore experienced Nishio-sensei as a father figure. He was easy to love and look up to. He never ran with a false declaration. He knew what he was saying and what he did and he lived as he wanted us to live. He lived as he taught. The respect we felt for him was based not on fear, but it was just pure love for the man that his only goal was to lead us back on track as free people, free from the yoke, coercion and shackles as other less successful senseis sat on us at the beginning of our Aikidov�g. 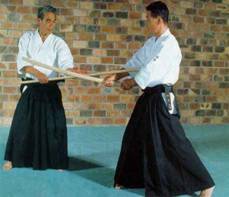 But, what will happen now with The Nishio Aikido Family? Will we, your students, to jointly pursue the path you opened to us or we will wander separately astray that we believe are the right ones? 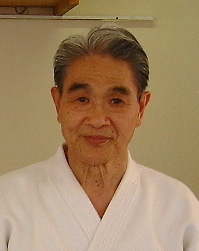 Sakamoto-sensei has started a Nishioorganisation, do not know how many associations that are connected but it seems like a pole organization. Their headquarters is in Kami Nakazato. 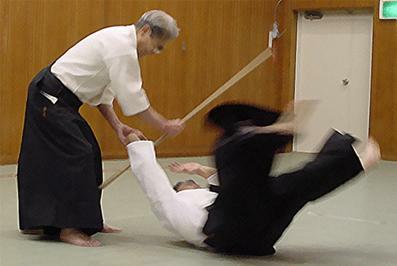 The Nishio Aikido Family is already fragmented. The Nishio's website is removed from the network and no information we have about how it will be with this family. 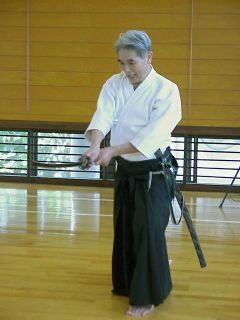 Umetsu sensei, Kihara-sensei and Kuribayashi-sensei from the Yokohama area have formed another group. 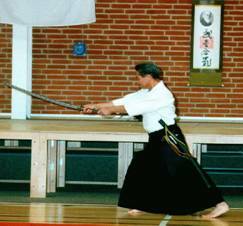 also Yoshida-sensei who has started his own Yufukan Japan, where he calls the Nishio Aikido for Nishio Budo and Aikijutsu for Nishio Taido. The Saitama group plus Take Mori-sensei would like Europe to themselves. 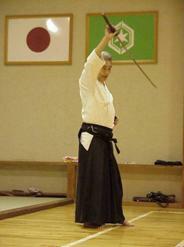 Yoshida-sensei has both U.S. and Europe as their domain and the group from Yokohama wants Asia and South America. In the case Take Mori, it is difficult to determine his whereabouts. He says he has his own Aikido, but he teaches more than happy the Nishio Aikido. The text below does not want the Japanese to me to write this on my website, but I'm forced to do it anyway. 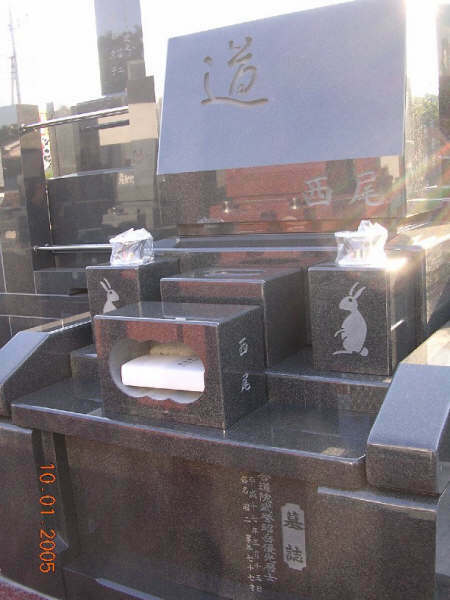 In <?xml:namespace prefix = "st1" ns = "urn:schemas-microsoft-com:office:smarttags" />Japan it is a general rule that after the death of a person he or she is given a new name in the temple. This new name is called KAIMYO. AI DO IN - These first three characters are called "INGO". IN - This name is given by his temple for ascetic practices as a disciple of AMIDA and Buddha. 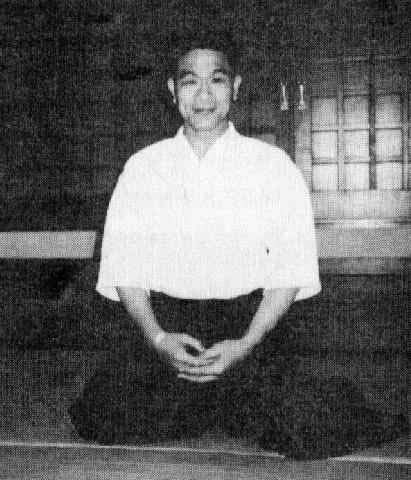 So, he become a chief priest at one Buddhist temple and started to practice ascetism to take care of us. 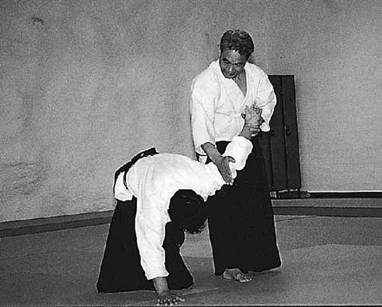 We know that he mastered the profound principles of Aikido. This name has included our wish that he will be spiritually awakened to follow the teaching of Buddha in the Buddhisto's paradise (heaven) and devote himself to his studies of Buddhist enlightenment sincerely and earnestly. BU YO - These next two characters are called "YOGO". 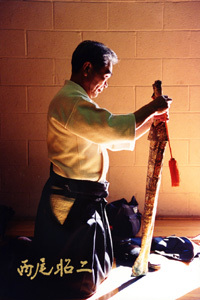 This name is given to a person that made a remarkable contribution to Martial Arts (BUDO). 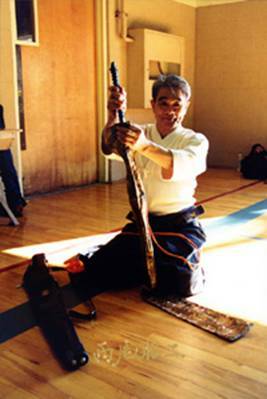 SHO GAKU YU KO - These next four characters are generally called "KAIMYO". 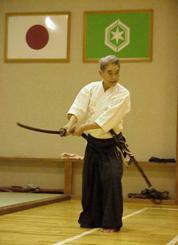 About SHO GAKU, the first character SHO originates from the name of Shoji. The next character GAKU has the meaning of a mountain. He was a vital and pivotal person for the Nishio family. He was diligent and hardworking. 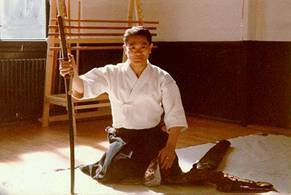 And he studied Budo and had a good health. 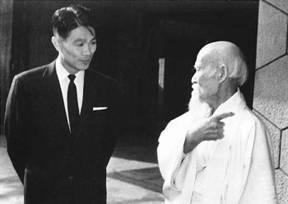 About YU KO, he had many aikido students in the world. He was a kind and extremely virtuous man. 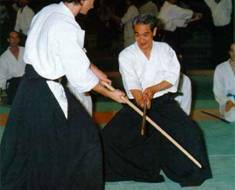 He was also an outstanding master of aikido. 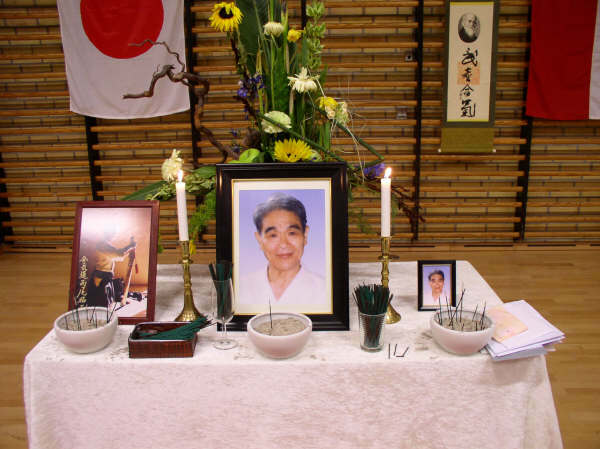 We pray that his soul may rest in pace under the peaceful light of AMIDA. And we also pray that he become Buddha keeping an eye on Nishio family, relatives, friends and persons who study aikido in order to live in good health. 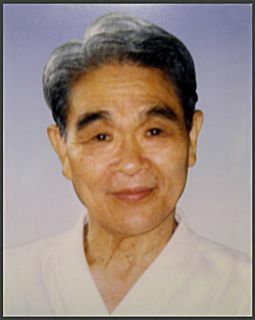 The following title (KO JI) will be given to the man after his death.